If you have made the decision to purchase an Apple computer, odds are that you already own another Apple product. While Google and Microsoft are catching up, part of the allure of an Apple product has been its integration across devices. With the announcement of iCloud in 2011, Apple became the first technology company to offer seamless integration across devices. Coupled with the emergence of the iPad as a viable tools and the continued popularity of the iPhone, this integration has proven to be invaluable to Mac users. In this quick tutorial, we will go over how to set up your integration between devices and what features will be available to you after you are finished. While setting up your new Mac, be sure to enable its iCloud service. This quick and simple set up will allow all of your Apple devices to communicate with one another. Owners of an Apple mobile device but not a Mac computer will also be happy to know that you can access iCloud from a PC after downloading the iCloud dock. iCloud gives any new Mac user 5gb of complimentary cloud storage. Users can upgrade their cloud storage if their needs are greater. Ten gigs are available for $20 a year, twenty gigs for $40 a year, or fifty gigs for $50 a year (I wouldn’t recommend any of these options as there are plenty of other options available for a much more reasonable cost). iCloud setting are completely customizable from the Mac’s settings menu. From this menu, you can choose what information you would like to store in the cloud. 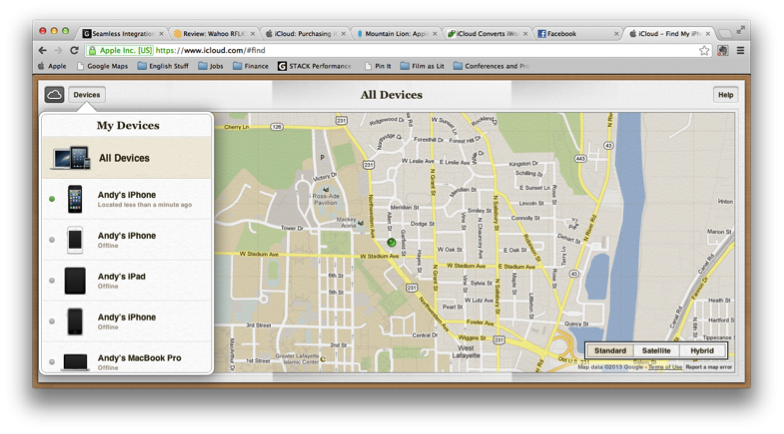 One of the most useful features of iCloud integration is the “Find My Mac” feature. After enabling this feature on your phone, iPad, or Mac, you will be able to locate your device from anywhere if you have misplaced it or feel that it has been stolen. You can use your mobile device or computer to locate your devices (IMPORTANT: Make sure you have the Find My iPhone app downloaded on your phone and iPad). If your device is connected to a Wi-fi or 3G/4G network, the application will use GPS to pinpoint your devices. From these screens, users will have several options available to them. If the phone is simply lost, you may play a sound to help find the phone. This sound will play regardless of whether the phone is in silent mode or not. 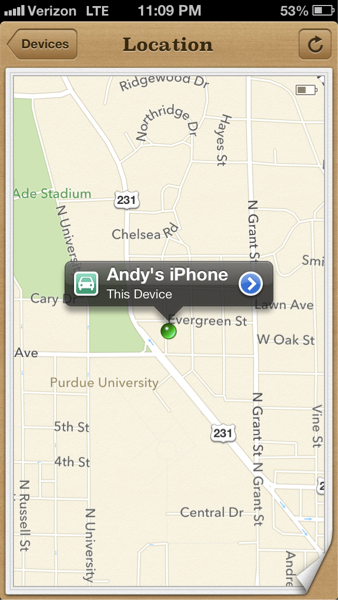 If the phone is truly lost or stolen, Apple integrated “Lost Mode”. 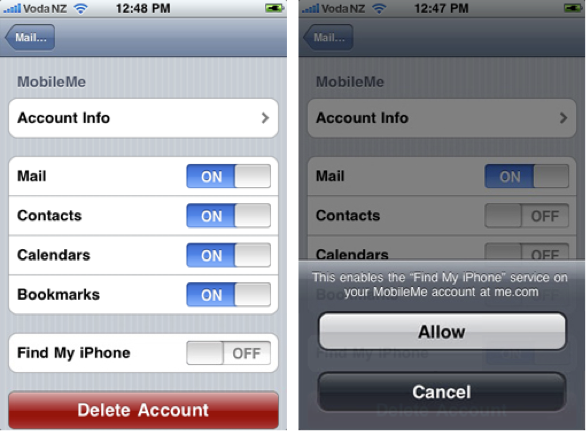 Lost Mode allows users several very useful features for when your phone is gone. If users have neglected all conventional common sense and advice and not implemented a passcode, they may do so through lost mode. This will lock out whoever may have the phone. They may then also send a message with a phone number in which the thief (or kind gentleman that picked it up off a park bench) may call you at. Lastly, users may set up email updates in which they will be notified anytime the phone changes GPS locations. If all else fails and the phone is truly gone, users may remotely wipe their data from the phone so information doesn’t fall into malicious hands. 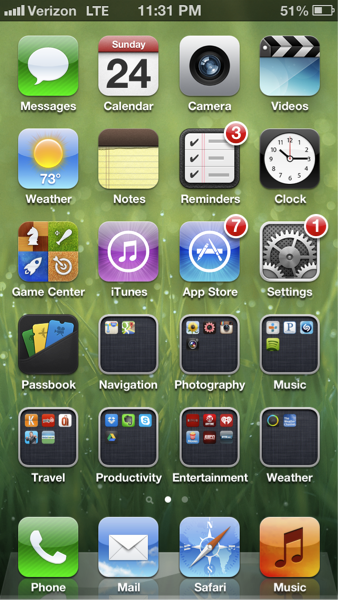 Much of the rest of Apple’s integration will look familiar to users who have iPhones or iPads. 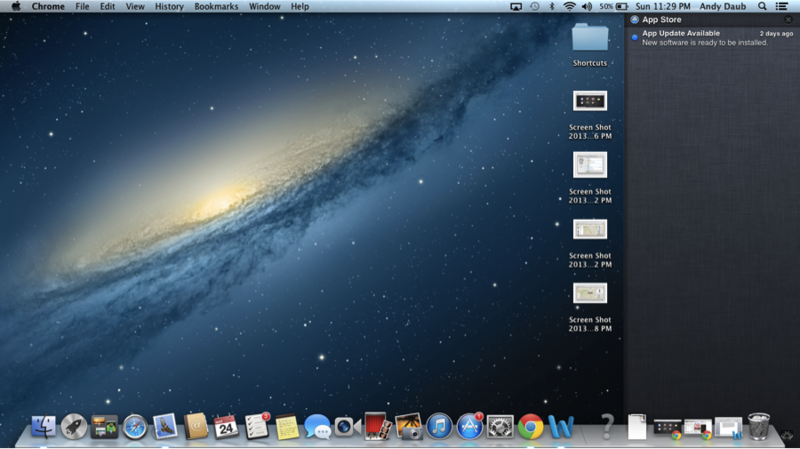 As you can see, the taskbar of my Mac and the home screen of my iPhone both show that I have three reminders. In a nutshell, this is exactly how the rest of the iCloud integration works. Essentially, any feature that is present on both OS X and iOS will integrate between devices. A note that I write on my iPad will instantly be present on my phone and my Mac. An appointment that I schedule on my calendar through my iPhone will then be present on both my iPad’s and Mac’s calendars. Users can also set up Photostream, in which any photo taken on a device will be available across devices. 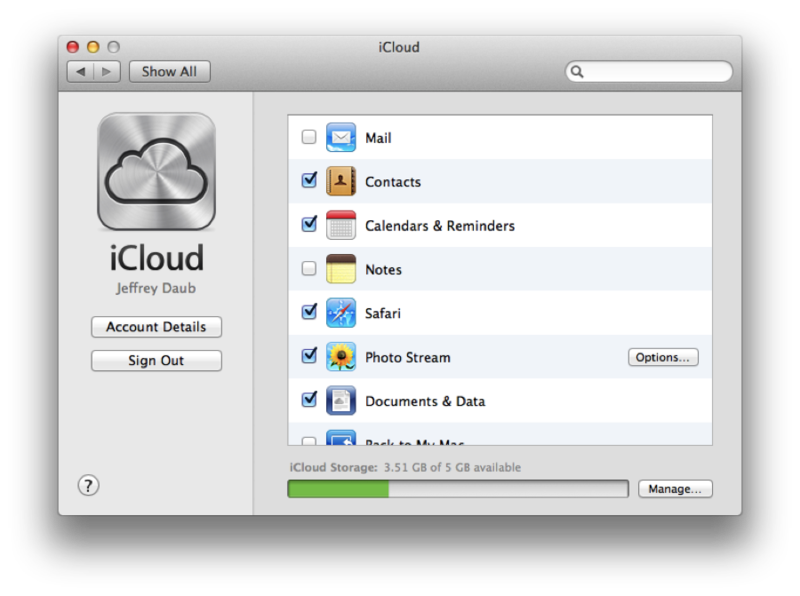 Lastly, much like Google Drive and Skydrive, iCloud allows users the ability to access documents anywhere. The absolute best part of using iCloud for documents is its ability to instantly convert document between formats. If your machine at work is a PC and you need to access an important document that is saved as a Pages document, iCloud will allow you to convert. 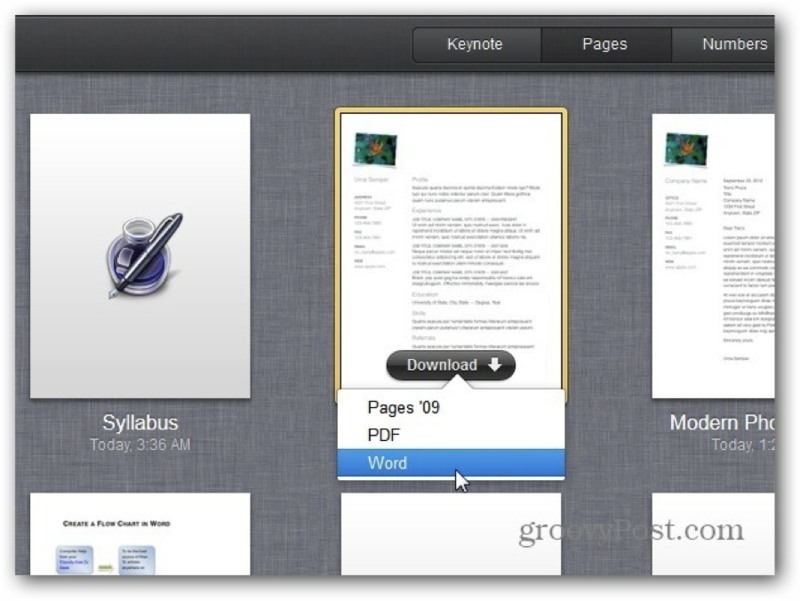 Once a document is uploaded to iCloud, simply click Document >> Download >> Word and voila, users may now access the document from their PC.